December 18, 2012 - Where are you? Okay it was late and I have been shopping all day and also buying a house so I was kind of distracted and then I realised it was far too late to start drawing so here is a picture I drew for somebody else like five years ago and never posted anywhere until now. 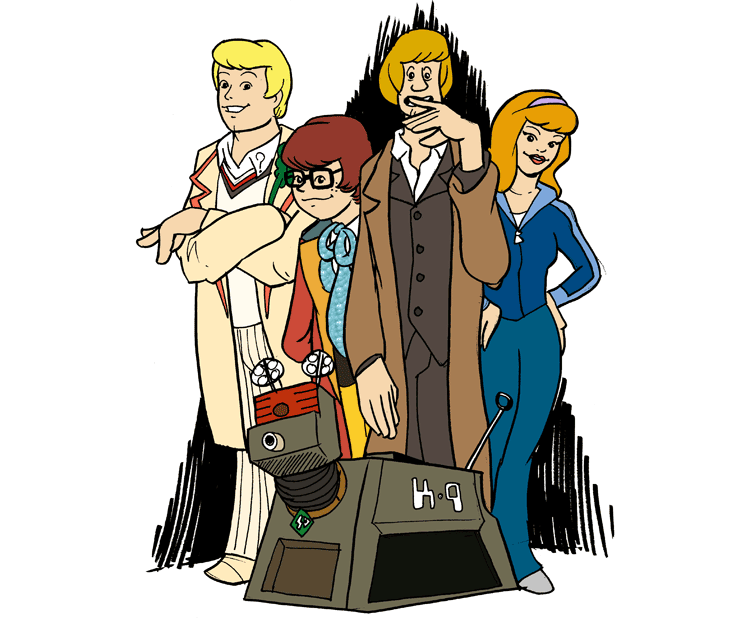 It is the Scooby gang dressed as three Doctors and a companion.